Ready to go back to the Beach with Brady, Mack and the rest of the gang? Today I will share what I loved about Teen Beach 2. First of all, I loved how they tie the beginning of Teen Beach 2 to the end of Teen Beach Movie. It’s not how you would expect, but it’s totally awesome! Next, I loved seeing more of the characters from Teen Beach Movie. It was great getting to know Lela and Tanner more. I love that this movie goes more in depth as to who they really are. We also get to see more of the bikers and surfers from the original movie. Tanner, Tanner, and Tanner. Oh my goodness. Tanner is officially my favorite character in the Teen Beach Movies. He cracks me up! I also love seeing a little more into his soul, past the silliness we usually see from him. Lastly, the music in Teen Beach 2 is awesome! There are so many great, new catchy songs that you’re sure to find yourself singing after watching it. My favorites are definitely “Best Summer Ever” and “Gotta Be Me”. And Cheeche and Seacat’s version of “Falling For You” is so much fun to watch! So grab your surfboards and beach balls and get ready to have the best summer ever! Teen Beach 2 premieres Friday, June 26th at 8:00 on Disney Channel. Today, May 22, 2015; both Walt Disney World and Disneyland will be holding their 24 hour events. These events run from 6:00am on Friday, May 22 until 6:00am on Saturday, May 23rd. Both events are being streamed live, so if you can’t be there in person, you can still take part in some of the fun! In Walt Disney World, watch for the Festival of Fantasy Parade at Noon and 3:00pm, Wishes Nighttime Spectacular at 9:00pm, and Main Street Electrical Parade at 11:00pm and 1:00am. You can also watch the Move It! Shake It! Play It! parade at 9:30am and 5:40pm. Be aware that the camera in Magic Kingdom is set at the end of Main Street USA, so it will take a few minutes for the parades to reach that area. In Disneyland watch the new Paint the Night Parade at both 8:50 and 1:00am, and the Disneyland Forever Fireworks at 9:30pm. Disneyland Forever Fireworks – Town Square, or Sleeping Beauty Castle 2 view. The Town Square View is farther away, but you may be able to see more of the full show from there. *Keep in mind that Disneyland is in the Pacific time zone, and is three hours behind us here in the East coast. Since there is only one camera view from Disney California Adventure right now, and I haven’t been to Disneyland myself, I’m not sure if the new World of Color – Celebrate! will be seen from that angle. Have fun, and enjoy the start of The Coolest Summer Ever! Disney Cruise Line Returns to New York in October, 2016! 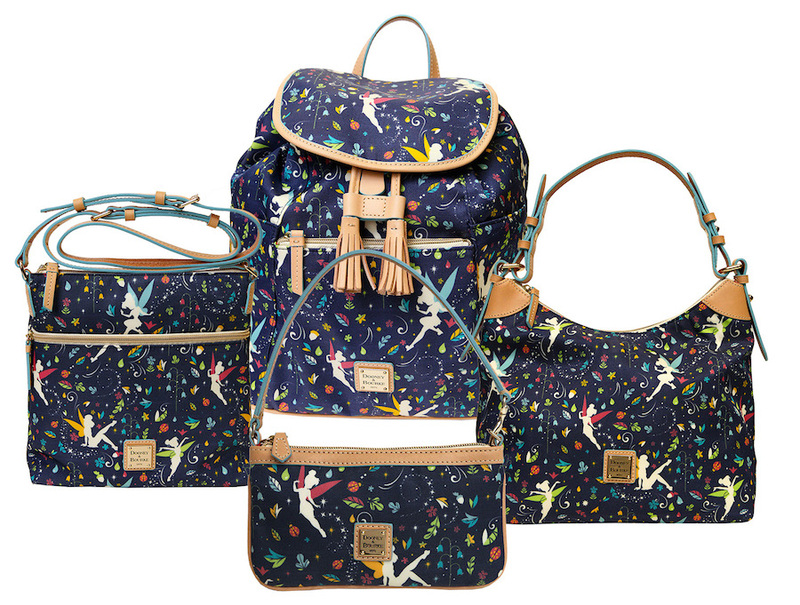 For anyone in the north who has wanted to take a Disney Cruise – I have great news for you! Disney Cruise Line has just announced that they will be returning to New York in October of 2016! On October 7, 2016 the Disney Magic will set sail from New York for an eight-night cruise to the Bahamas. This cruise includes stops at Nassau, Bahamas; Port Canaveral, Florida; and Disney’s private island, Castaway Cay. October 15, 22, and 29, 2016 Disney Cruise Line sets sail on a seven-night cruise with stops at Castaway Cay and Port Canaveral, Florida. Both of these cruises to the Bahamas include a one-day Park Hopper ticket to Walt Disney World, as well as round-trip transportation between the ship and Walt Disney World. Looking to head to cooler weather? On October 2, 2016 Disney Cruise Line will sail from New York on a five-night trip to Halifax, Nova Scotia and St. John, New Brunswick, Canada. Want more information on these exciting Disney cruises coming to the north? Contact me today! What makes me so sad about the show ending isn’t the show itself. It’s realizing that my kids are growing up. Our oldest graduates 8th Grade this year, and I remember him being the same age that our youngest was when Phineas and Ferb first introduced us to the fun of Summer. Our kids have grown up on this show. We’d all look forward to the new episodes as they came out. We had a Phineas and Ferb Backyard Beach party once. We made t-shirts when we met them in Hollywood Studios. 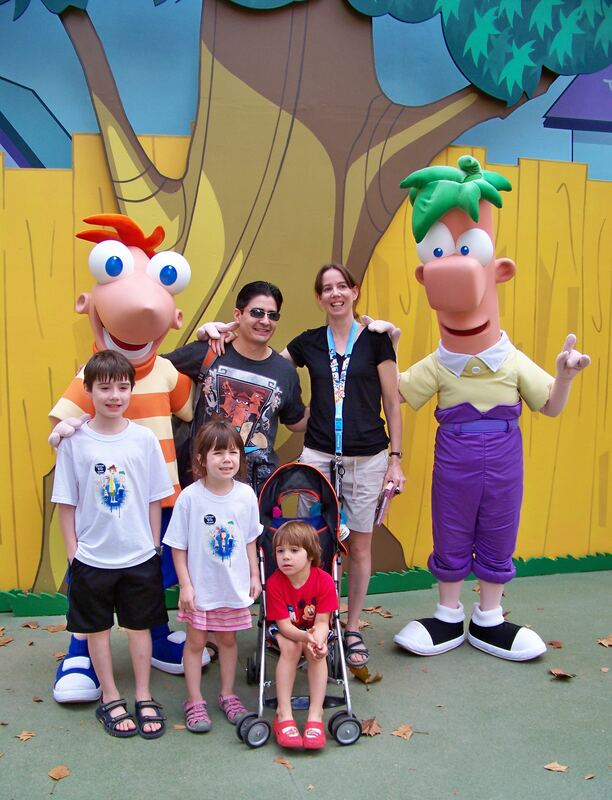 Our kids were even both picked for the Phineas and Ferb show they used to do while waiting in line to meet them. A 73-hour Phineas and Ferb marathon will begin on Tuesday, June 9th at 8pm on DisneyXD. The final episode, “Last Day Of Summer”, airs Friday, June 12th at 9pm on both DisneyXD and Disney Channel. 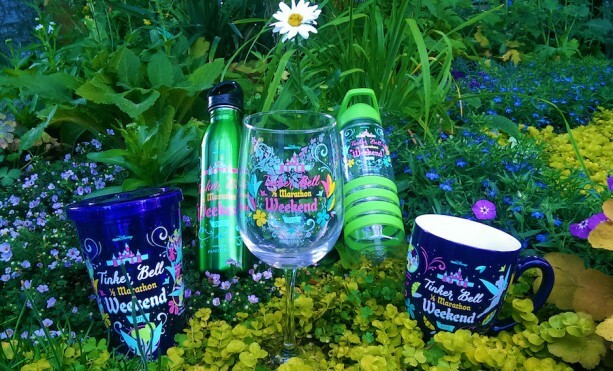 I am seriously loving the merchandise for the 2015 Tinkerbell Half Marathon this weekend in Disneyland. 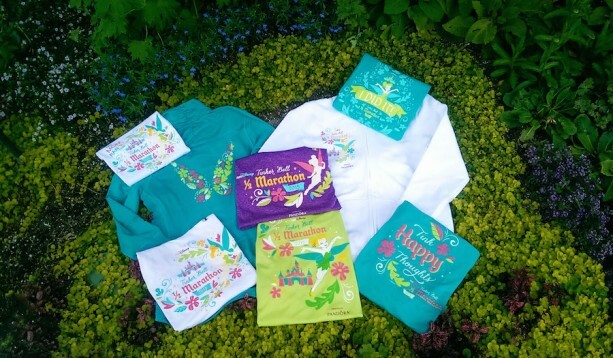 The shirts are gorgeous and so bright! Thursday, May 7, 2015 – 10:00 a.m. – 8:00 p.m.
Friday, May 8, 2015 – 10:00 a.m. – 8:00 p.m.
Saturday, May 9, 2015 – 9:00 a.m. – 4:00 p.m. I took my nine year old daughter this past weekend to see the new, live-action version of the original Disney animated film. I have to preface this by telling you that my daughter is not girly at all. She has two brothers, and currently loves Nintendo things like her big brother. She only likes wearing dresses for picture day at school. The only other time the “girly-girl” comes out, is when we’re at Walt Disney World and she sees Minnie Mouse, or one of the Princesses. Okay, so the moment of truth had arrived. Would my daughter make it through almost two hours of her first non-animated movie in a theater? Would she get bored and hold me to my “claw machine” deal early? Cinderella is an awesome movie. My daughter sat through the whole thing. She wanted to sit through the whole thing. At one point, we both had to use the restroom, but she opted to wait because she “wanted to see the whole movie”. What? What miraculous thing has Disney accomplished here? My daughter, who plays with Pokemon and Nintendo toys actually wanted to sit for almost two hours to watch this? Amazing! So, yes, Cinderella is an excellent movie. Such a beautiful re-telling of a classic Disney tale. Now, I know some people were disappointed with the lack of songs like “Bibbidi Bobbidi Boo”, but I honestly think the songs would not have fit well in this version. The Fairy Godmother breaking into song would have taken away from the moment and it would have felt a bit, well – for lack of a better word – hokey. I definitely recommend seeing this movie. You will love it. Your kids will love it. Seeing it makes me even more excited for the new live-action Beauty and the Beast that Disney has in the works for 2017. And that one will have music! More Pixar Please! 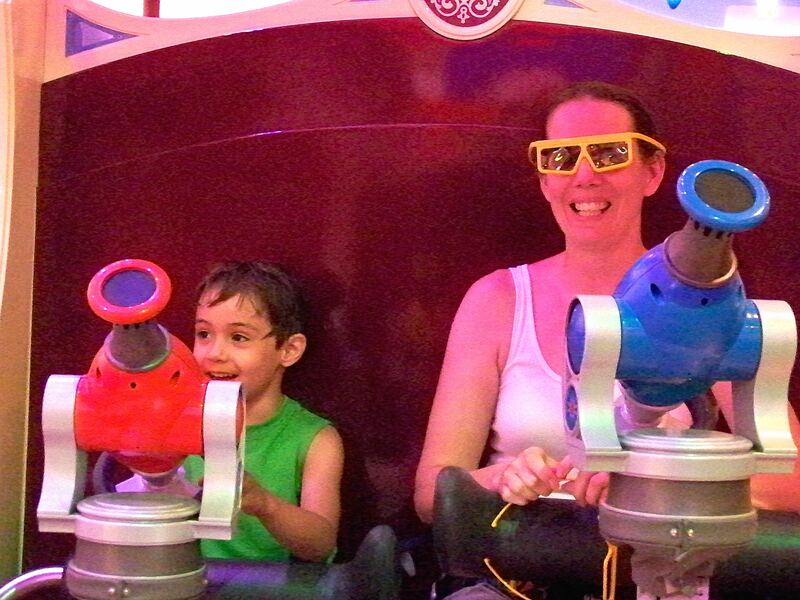 Toy Story Midway Mania is easily the most popular ride in Hollywood Studios for families with smaller children. 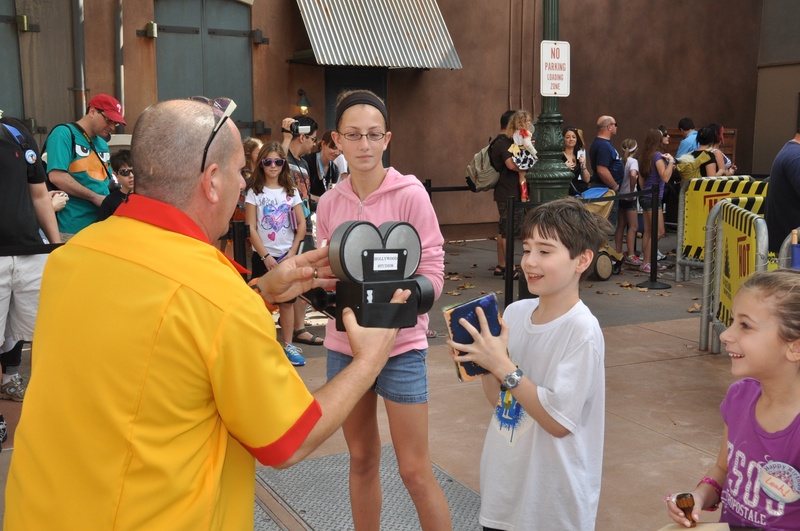 Many people miss the early morning cardio workout they would get from running to the old FastPass machines there, just to not have to stand in line for two hours. So why haven’t we seen anything added to Pixar Place? 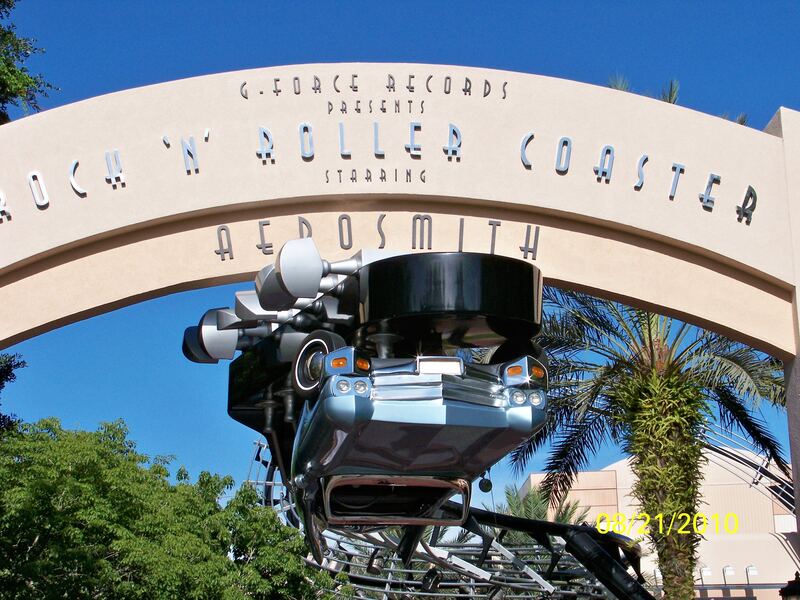 Disney already has some great Disney/Pixar rides in place at their other theme parks – Ratatouille at Disneyland Paris, Monsters Inc. at Disney California Adventure, and (my personal favorite) Cars Land, also at Disney California Adventure. Some of these attractions could be easily replicated to expand Pixar Place in Hollywood Studios. I’ve heard that there just isn’t space for Radiator Springs Racers (which is basically a re-themed Test Track), but it would be great to see something like Mater’s Junkyard Jamboree. Heck, I’d just love to walk through Radiator Springs and get something to eat from Flo’s V8 Cafe. That would be cool. More family attractions. Hollywood Studios has some amazing thrill rides – Tower Of Terror, and Rock ‘N Roller Coaster – but, where I feel it’s really missing the mark, is in more rides for families to do together. We always ride Toy Story Midway Mania there, but there’s not much else for families with small children to ride together. I really noticed this on our last trip. My seven year old was medically restricted from going on anything too bumpy, and wasn’t able to ride anything 4D, so there weren’t any rides there that he could go on (other than The Great Movie Ride, but the “Alien” scene in there would be too scary for him). There are so many great Disney movies out there, and I’m sure the creative genius of the Imagineers could come up with something awesome for the little ones. Permanent Star Wars Character Meals. These meals are really popular during Star Wars Weekends, and with Star Wars Land coming to the Studios, it would be an awesome addition. Or how about a Mos Eisley Cantina themed quick service restaurant? Super Cool. So that’s my list for now. 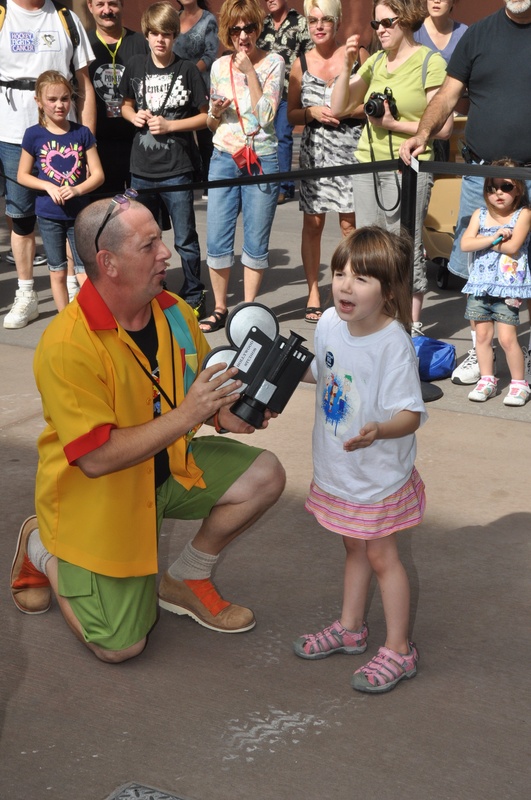 What would you like to see in the “new” Hollywood Studios?